Asha has been skating for over 30 years. She started aged 10 when she found a pair of quad skates in a rubbish bin. It was a life-changing moment for Asha, and being on wheels soon became second nature. 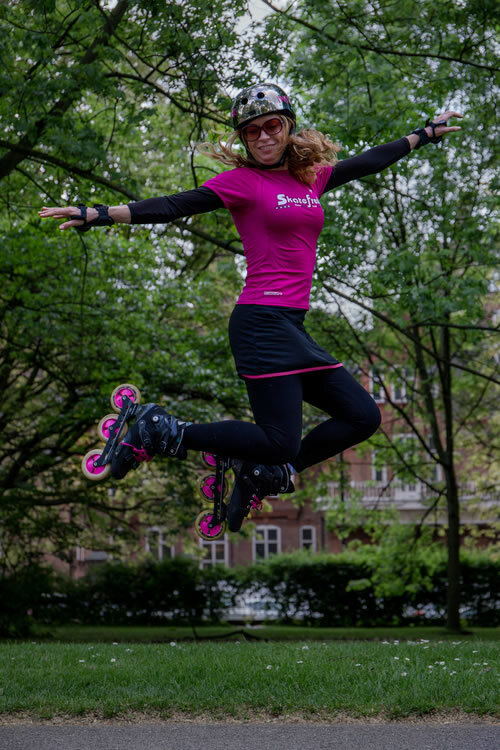 She was spotted by a figure-skating coach and went on to become the British Novice Artistic Roller Skating Champion at the age of 12, and as a teenager represented the UK in the European Junior Artistic Roller Skating Championships and the German Cup.. In 1999 Asha set up Skatefresh, London’s longest-running skate school and one of the first in the UK. 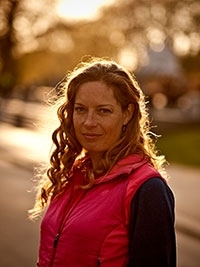 She has been a committed, full-time instructor for 14 years, running classes for beginners, improvers, intermediates and advanced skaters, as well as street skate classes, kids’ clubs and bespoke dance and fitness groups. Asha is qualified by Sports Coach UK to teach children and young people, as well as disabled people in sport, and since 2005 she has been working in schools delivering skate classes for pupils, including children with learning difficulties. Whatever your level or ability, Asha’s technical background makes her teaching style direct and effective. When it comes to perfecting your speed, stops, crossovers or dance steps, Asha is an exceptional instructor. 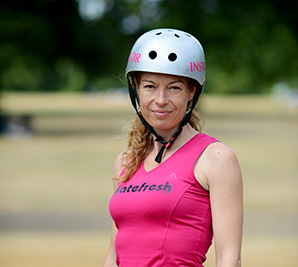 In 2004 Asha was appointed UK National Director of the inline Instructor Certification Programme (ICP) and has trained and certified instructors in the UK, Slovenia, Spain and Brazil. Asha has been featured in numerous national newspapers and magazines, as well as on national television, and in 2009 starred as a coach and judge on the BBC television series Skate Nation. Asha is fluent in Spanish and Portuguese. Asha keeps fit and healthy by practicing Bikram Yoga and uses supplement products from Supersuper Foods and Green Organics.